This buttercream is dangerously good. Its salty sweetness is a perfect match with pretty much anything, and everything, you can imagine. The homemade Salted Caramel used in this recipe really sets it apart from your everyday frostings. 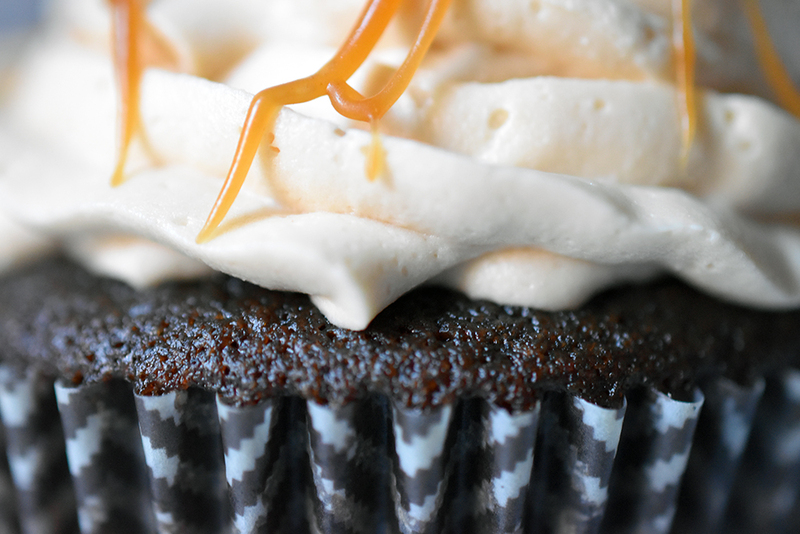 We have recently used this buttercream on our Breakfast Series: Salted Caramel Cocoa Coffee Cupcakes. This recipe will frost approximately 24 cupcakes with low to medium frosting profiles. Add the salted caramel and mix until incorporated. Slowly add the powdered sugar one cup at a time until desired consistency is reached and frosting is very light, creamy and fluffy. About 6-8 minutes.